Digital Rights Management, or DRM, is specifically designed to control the use, modification, and distribution of any copyrighted material, and is now a common feature of everything from ebooks to music files. Although it’s easy to understand why the rights holders are keen to protect their work, as a consumer, DRM is an extremely frustrating aspect of modern life. In this article, we explain why removing DRM restrictions is important Is DRM A Threat To Computer Security? Is DRM A Threat To Computer Security? Read More and show you how you can eliminate them on your own ebooks. Underpinning the DRM problem is the issue of ownership The End of Ownership: Netflix, Spotify, and The Streaming Generation The End of Ownership: Netflix, Spotify, and The Streaming Generation Streaming media is convenient, but you're giving up something important: ownership of digital media. Read More . Music, movies, and books that you buy from companies like Amazon are not technically yours — you have merely been granted a license to use the content. Put yourself in the shoes of one Amazon user, who in 2012 had her entire Kindle library (and Amazon account) permanently deleted for a supposed breach of terms. We don’t know whether she did anything wrong, but we do know she was several hundred of dollars out of pocket. All her beloved books were irrevocably gone, with no way to retrieve them. Per our Conditions of Use which state in part: Amazon.co.uk and its affiliates reserve the right to refuse service, terminate accounts, remove or edit content, or cancel orders at their sole discretion. While we are unable to provide detailed information on how we link related accounts, please know that we have reviewed your account on the basis of the information provided and regret to inform you that it will not be reopened. The problem could have been entirely avoided if she had removed the DRM restrictions. Why? Because she could have backed up her files on her local machine. Amazon might still have deleted her account, but the content that she spent so much money on would still be in her possession. Adobe’s ADEPT DRM — It can be applied to EPUBs and PDFs, most third-party eBook readers will be able to read it. Books purchased from Barnes and Noble use this format. Amazon DRM — Amazon’s format is applied to AZW8, KF8, and Mobipocket files. Again, most mainstream readers can understand it. Apple FairPlay DRM — Apple’s approach can only be applied to EPUB files and can only be read by Apple’s iBooks app. Marlin DRM — An open industry group that includes Panasonic, Philips, Samsung, and Sony developed the Marlin system. 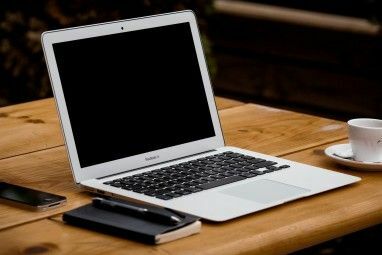 Given the diversity of ebook publishers and ebook file formats, it’s not surprising that there isn’t a one-size-fits-all solution. If you buy your books The Ultimate 50 Ways to Find New Books to Read The Ultimate 50 Ways to Find New Books to Read There are some books which we don't want to put down. Thanks to the many tools available today, your next reading adventure can begin instantly. Find what you should read next with this guide. Read More through Amazon, Barnes and Noble, or the other typical well-known vendors, the best solution is Calibre. Calibre is a free and open source ebook library management application that’s packed full of useful features. For this process, you’ll need Calibre and apprenticealf’s DRM removal plugins. Install the software and fire up the app for the first time. When prompted, select which folders contain your existing ebook purchases. If you don’t have one yet, create it. 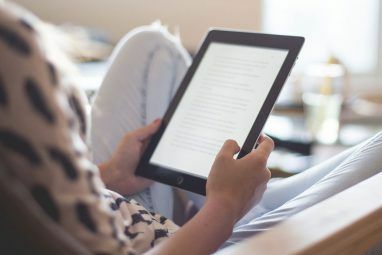 Next, you’ll be asked to select your device The Best Ebook Reader: 7 Models Compared The Best Ebook Reader: 7 Models Compared An ebook reader is a must-have item for book lovers. You can carry thousands of books in your pocket and recharge once a month. But what's the best ebook reader out there? Read More . The list includes all the major manufacturers. Don’t worry if you have more than one device, you can change this setting to alternate between them later. If you want to be able to send ebooks from Calibre straight to your device, fill in your associated emails on the next screen. For the purposes of the DRM removal process, you can skip this step. Finally, click Finish and the app will boot. Calibre supports a variety of plugins that perform many different functions. To remove the DRM, you need apprenticealf’s DRM Removal Tool for eBooks. The latest version is available for download from GitHub. Download the file and unzip its contents. Now head back to Calibre and click the Preferences icon on the top menu. Click Plugins on the bottom row of the pop-up screen, then select Load Plugin from File in the bottom right-hand corner. Find your unzipped file and navigate to DeDRM_calibre_plugin > DeDRM_calibre_plugin. Click Yes on the virus warning that pops up, and you’ll be shown a message that confirms the successful installation. Per the on-screen message, restart the Calibre app. If you own a Kindle, there is one final step. In Calibre, go to Preferences > Plugins and expand the menu underneath File Type Plugins. Double click on the DeDRM listing, choose e-Ink Kindle eBooks, and add your device’s serial number. On most Kindles, you can find your serial number within the device’s settings menu. The tool will only work when you import books into Calibre for the first time. It will not work if you’re converting books between formats. Therefore, if you have already imported DRM books you’ll need to remove them from the app and re-import them. The DRM removal is the simplest part of the whole process. Just drag-and-drop your ebooks from your e-reader (or local drive) into Calibre’s main window; the software will automatically delete the DRM. If you’re pulling them from a Kindle, drag all the files associated with each book and click None when warned about duplicates. Unfortunately, Apple users keen to remove the DRM from their iBooks Kindle vs. iBooks: Which Is The Best eReader For Your iPad or iPhone? Kindle vs. iBooks: Which Is The Best eReader For Your iPad or iPhone? Apple's iBooks and Amazon's Kindle are two of the best apps for reading a book and each has its own strengths and weaknesses – but which is right for your reading habits? Read More face a much more limited choice of tools. The only reliable method is to use the TunesKit iBook DRM removal tool. This will set you back $30, but if you’ve got thousands of ebooks, it’s a price worth paying. After you’ve downloaded and installed the app, you’ll need to download all your iBooks to your local machine. Once you’ve got them saved, just drag-and-drop them into the DRM removal software and click Convert. Et voila. Simple, effective, but unfortunately not free. 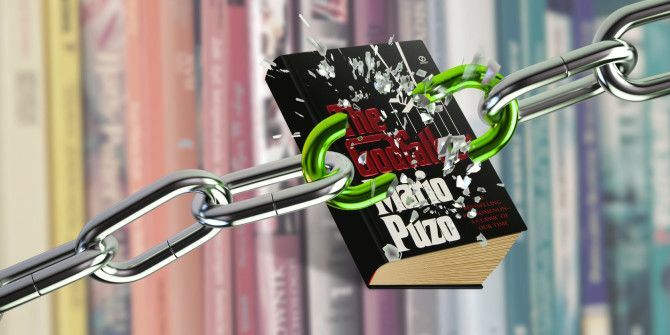 Have You Removed DRM From Your eBooks? We hope this offers a solution for removing DRM from your ebooks. However, we’d love to learn more about the tools you have previously used. Have you found a cheaper and more reliable method for Apple iBooks? Maybe you’ve found a simpler approach to deleting Kindle DRM? If you can offer any help or advice to your fellow readers, feel free to leave a comment below. Hopefully, we will all discover some new hints and tips for ridding the world of DRM! Explore more about: Amazon Kindle, Calibre, Ebooks, iBooks. This is useless for DRMs on ibooks for a Windows user. I have a windows PC, so TunesKit is useless (it only has a mac version). There is LITERALLY not a single program for windows that will get rid of the DRM on an ibook. WTF? "The only tool that removes Apple's iBooks Fairplay DRM is Requiem by Brahms version 3.3.6. . ."
It goes on to say where that can be found, etc. Maybe this works for Windows? Removing certain DRM is probably against the law in the US, and some other countries, just a heads up. If you paid for a book, you can usually find nonDRM versions of it on torrent sites, that will be yours to keep. Adblockers and VPN recommended.